This past spring, our base started having a weekly gathering every Friday night for us to go to a local park to worship, pray, and evangelize, this last part usually done by launching out from the park in small groups to go initiate conversation elsewhere. It was during one of these evenings that we met a man named Seiji. 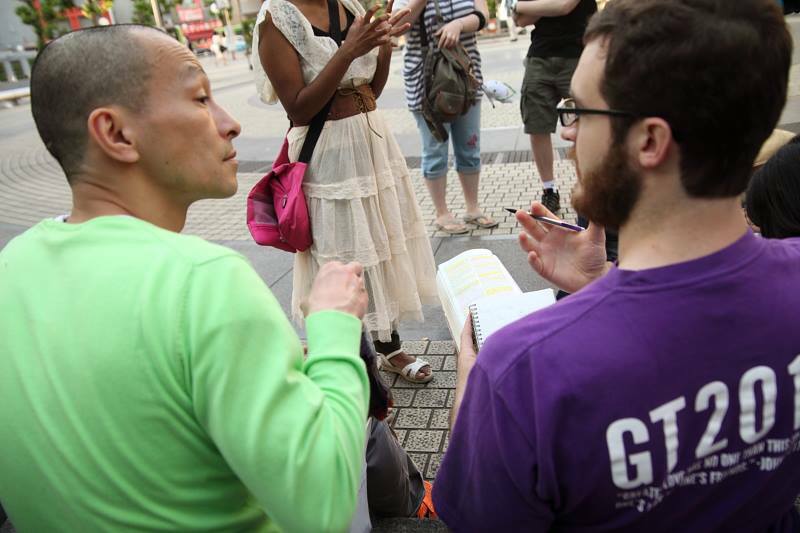 When we first met him, he was spending time with two Chinese ladies who were part of a cult because he was trying to learn Chinese, but he himself professed to be an atheist. However, such a label falls very short of accurately describing this man.